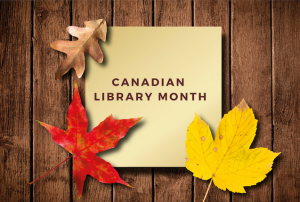 October is only a few days away, and it is Canadian Library Month, an excellent opportunity to recognize the role public libraries play in providing legal information to their communities. Since 2007, Courthouse Libraries BC has been proud to partner with BC’s public libraries through the LawMatters program. Supported by the Law Foundation of British Columbia, LawMatters is Courthouse Libraries BC’s outreach program for public librarians. Through this partnership we are working to enhance public access to legal information in all communities across British Columba. Financial assistance is given to all public libraries that choose to participate through our grants program. Grants are distributed annually to help purchase legal information and reference materials. We provide libraries with a core list of titles to use as a guide for selecting and ordering materials. The list is evaluated annually for currency and accuracy. We are also available to offer suggestions and work with librarians to support local collection needs. Working with Clicklaw Wikibooks, LawMatters has previously distributed print copies of Clicklaw Wikibook titles Legal Help for British Columbians, JP Boyd on Family Law, and Dial-A-Law free of charge to libraries throughout BC to support legal collections. We offer training sessions to public librarians to improve their confidence helping the public with legal information questions. This includes how to use legal resources, the basics of legal research, and general legal reference skills. Our goal is to increase access to legal information for all communities in BC and empower librarians and to provide legal information, reference, and referral. We aim to build community capacity through partnerships which we continue to explore with libraries and other organizations. We encourage and consult with public libraries to host community forums to connect with local organizations that work with the public to help them find legal information.